Just finished my first :10 minute play for the project. 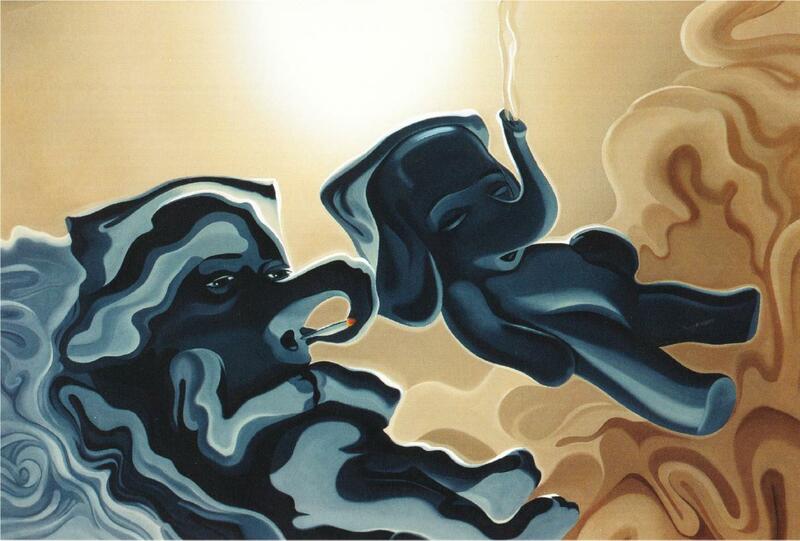 I was given the prompt of Shmokee (two elephants smoking marijuana) by Joe Park. Playwrights receive their prompt in dramatic fashion like choosing lots and then raising the prompt high for all in attendance to view. In addition to the prompt, the play must have a tool used incorrectly, a character who finds something, and a character who curses something. I’m working with Gregg Ashbrook II, and Lynda and Andrew Santa. In discussions with them I learned that Gregg likes characters with “rough edges”, Lynda wanted to play an “evil mastermind” and Andrew a “lazy, toady.” All this combined lead to rather surreal short play I named “Spare Room” involving a construction worker and a entranced/distracted serial murderer and her assistant. To see the short, come to the May 6 Manhattan Project event at Mahalls.